As Congress prepares for the reauthorization of the Higher Education Act (HEA) of 1965, one of the nation’s oldest civil rights organizations said that access, affordability, completion and accountability should serve as the guiding principles in supporting the nation’s first civil rights law to address post-secondary learning. “Federal higher education law should address barriers in access to a post-secondary education caused by historic and present-day race-based, exclusionary policies and practices, and promote meaningful access for historically underrepresented students,” wrote Marc H. Morial, president of the National Urban League, in a seven-page letter to Sen. Lamar Alexander, the Republican chair of the Senate Committee on Health Education, Labor and Pensions and Democratic Senator Patty Murray, a ranking member of the committee. “Federal student aid must make college affordable for low-income students, taking into account the totality of a family’s economic status, full college costs, which includes child care, transportation and housing, and prioritize investments in grant aid first to reduce the disparate student loan debt burden placed on low-income, first-generation and students of color in order to move them out of poverty,” wrote Morial, a former mayor of New Orleans. 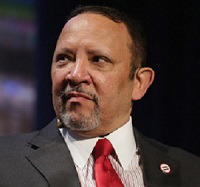 Morial said federal initiatives that provide “culturally appropriate, wrap-around support services” are needed to help promote college completion by addressing barriers to completion that cannot be met by grant aid alone.